← The Rabbit Culture by Tito Capaldo Book Blast – Win a $25 Amazon Gift Card! 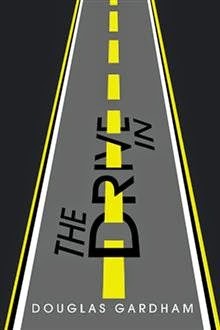 The Drive In by Douglas Gardham Book Blast – Win a $25 Amazon Gift Card! Have you ever been intrigued by what mysteries lie behind the doors and windows of the places you pass by on your drive into work everyday? The Drive In takes you on Tom Johnson‘s commute. Unlike Tom, you’ll get to peek behind some of those closed doors. Remember going to the “Drive-In” theatre? Each story reveals what goes on like watching the “dusk ‘til dawn” features through your car’s windshield. Meet the people at the places Tom only passes by each day. Then discover how his drive in ends like no other. Douglas Gardham is the author of the STARbook-awarded novel The Actor. He lives near Toronto, Canada with his wife, dog and cat. He loves books, music and movies. This is his second published novel. Douglas is giving away a $25 Gift Card!